House parties are parties that members can hold at their or someone else's POH. Jagex has even made the primary activity of world 115 to hold house parties. House parties had many different activities and functions, for the most common reasons see the section Reasons for a party. 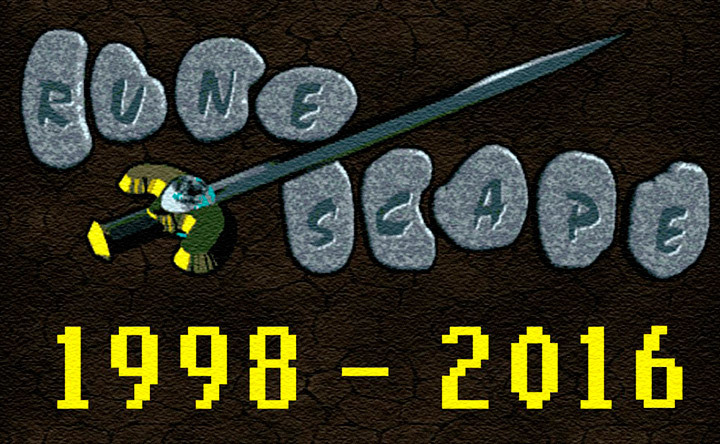 Ever since the release of RuneScape 3 and the EoC, house parties have become less and less frequent. Outside the Rimmington house portal in world 31. 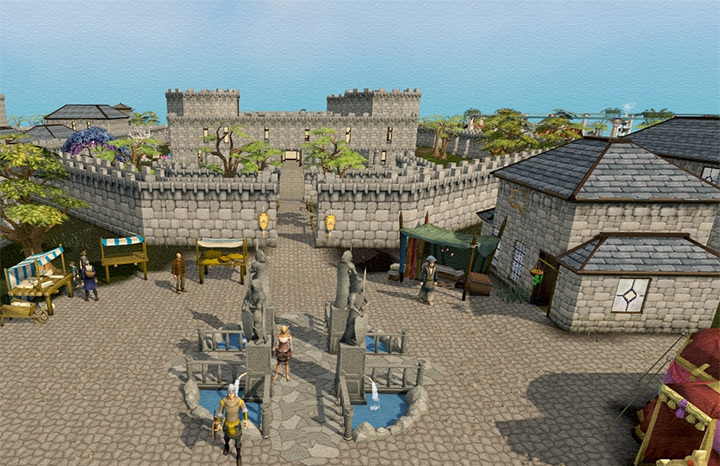 On the House Party World (115, Legacy mode only) in Rimmington some players will keep their houses open to other players for fun and to offer various services, such as providing a Gilded Altar, although going to Yanille is easier since it is closer to a bank. They may also have their dungeon within their house open for player versus player fighting along with other monsters. It should be noted that both players and monster do not drop anything. To enter someone else's house, simply click on the portal and select the option "friend's house". Type in the owner's name of the house that you wish to visit and you will arrive in their house, free to do/train whatever possible in their house. You can only visit a house owner if that player is present in their home. If the owner leaves their home through the portal, you will not be kicked out, but if you exit as well, you won't be able to get back in until they are back in the house as well. However, if the house owner logs out of the game, all guests will be kicked out of their house. 99 Parties - Players who have just achieved level 99 in a skill will often have a house party to celebrate. Leaving Parties - Players who are leaving the game will sometimes have a party to say goodbye to their friends. Clan Event - A house party can be used as a clan event. Fun - Some players may host parties for fun. Celebration - Some people hold parties in celebration of a holiday (e.g. Christmas parties) or another event (for example, birthdays). Showing Off - Some players like to show their progress through Runescape by using their house as a medium. Skills Halls and Quest Halls as well as costume rooms can show general achievement, while the house itself can show off wealth. Open Altar - Many people hold house parties for an "open altar" which is a Gilded Altar with two marble incense burners. Usually the house owner will light the incense for you while he may or may not be running his own bones. If he/she is running his/her own bones, he /she may also get assistance from a friend or stranger that may be alching to light for him/her. Socialising - A house party is an excellent moment to catch up with friends, or to make new ones. Gilded Altar w/Marble Burners - These are in high demand because of the more than triple bonus experience the altar offers if both burners are lit. Lectern - Many players use Mahogany Eagle/Demon Lecterns for profit and Magic XP. Summoning Obelisk - Many players recharge their Summoning points with this obelisk. 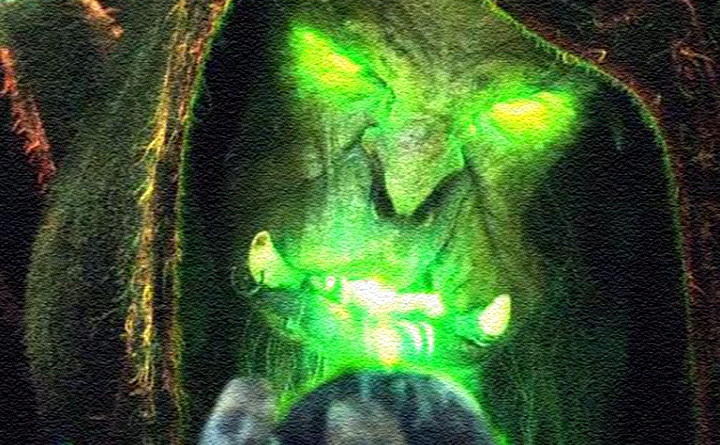 However, It is unlikely that players are going to come from across the globe to use your obelisk, people tend to use familiars when training prayer, so keep it near the altar. Portals - Players like to get around quickly, easily so these will always be in demand. Varrock/Ardougne/Camelot portals are good to have. 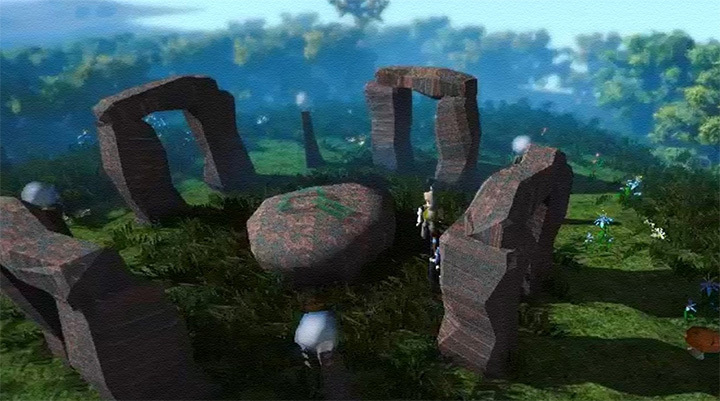 One that's particularly in demand is the Kharyrll Portal, which lands you at the Hair of the Dog Taven in Canifis, for faster access to the Barrows Minigame. Amulet of Glory (mounted) - An Amulet of Glory in your Quest Hall gives players easy teleports to a bank, such as Edgeville or Draynor bank. This is very useful for visitors on prayer training runs. Telescope - A Telescope facing a window of the house is very useful because it gives the general landing area of the Shooting Star D&D. Oubliette/Dungeon - Used by players who enjoy unrestricted PvP combat, blood and gore, and like a challenge. Be careful! There are many dangerous clans who dwell in house dungeons. Combat Room - An area where, depending on the centerpiece, you may restrain PvP combat to no armour or weapons, just weapons, or a free-for-all combat situation where anything goes. 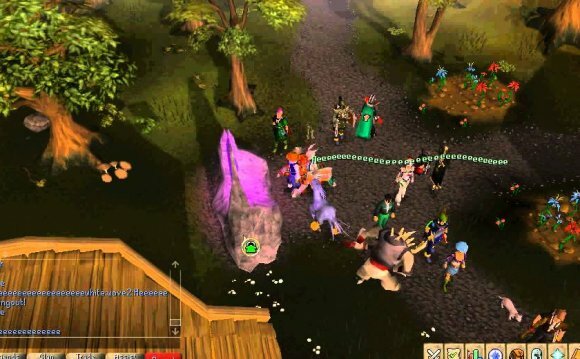 The original world where house parties were hosted was in World 6, this was before the Themed Worlds feature was released into RuneScape. After themed worlds were introduced, the official House Parties activity world was 31. Later, this was turned to the Open Gilded Altar world, and 115 made the House Parties world. After the release of Legacy mode, world 115 was turned into a Legacy only world.